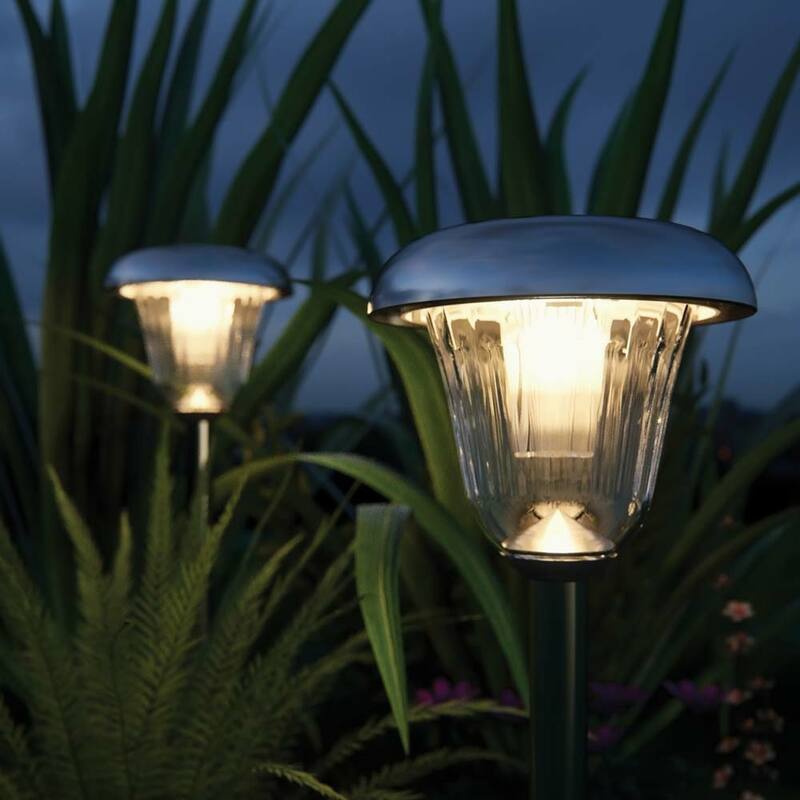 The Tunbridge Solar Garden Lights offer exceptional brightness backed up by unrivalled reliability and performance. 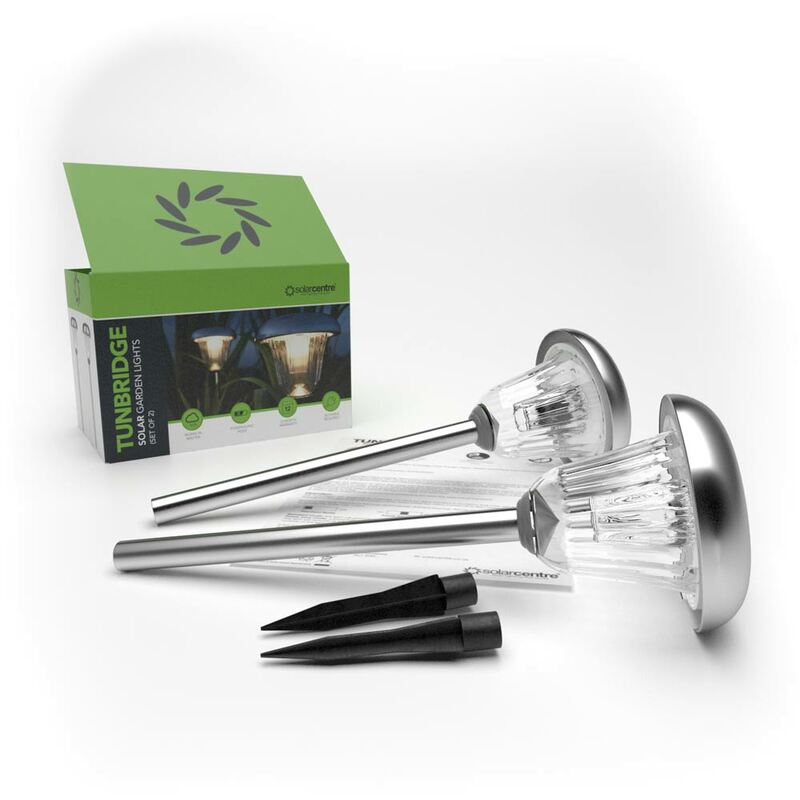 Made from high quality stainless steel complete with glass shades and standing at 32.5cm tall, these stunning lights emit a gorgeous warm white light after dark. Features a 12 month warranty as standard. 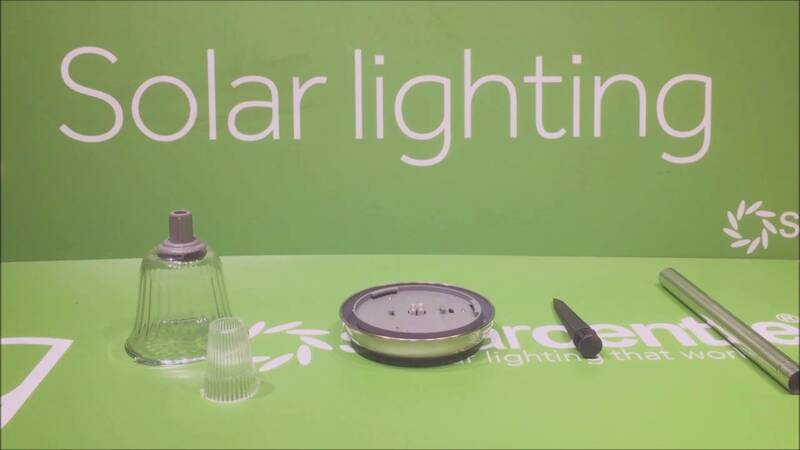 This light is solar powered and does not require mains power to work. 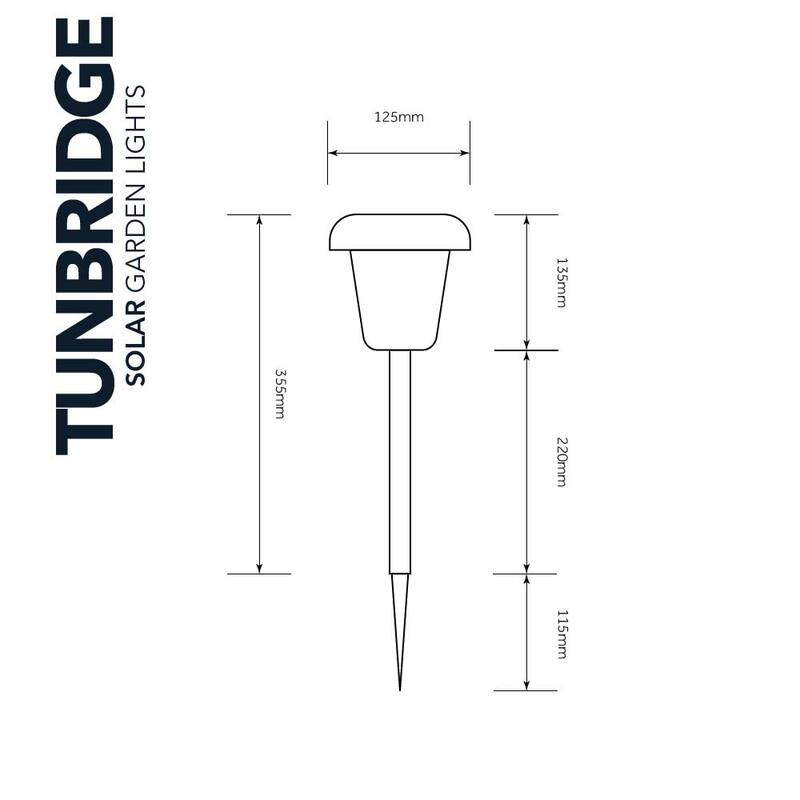 The Tunbridge's are fully automatic and completely solar powered making them ideal for lighting borders, paths, flower beds are anywhere else where mains-free lighting is preferred. 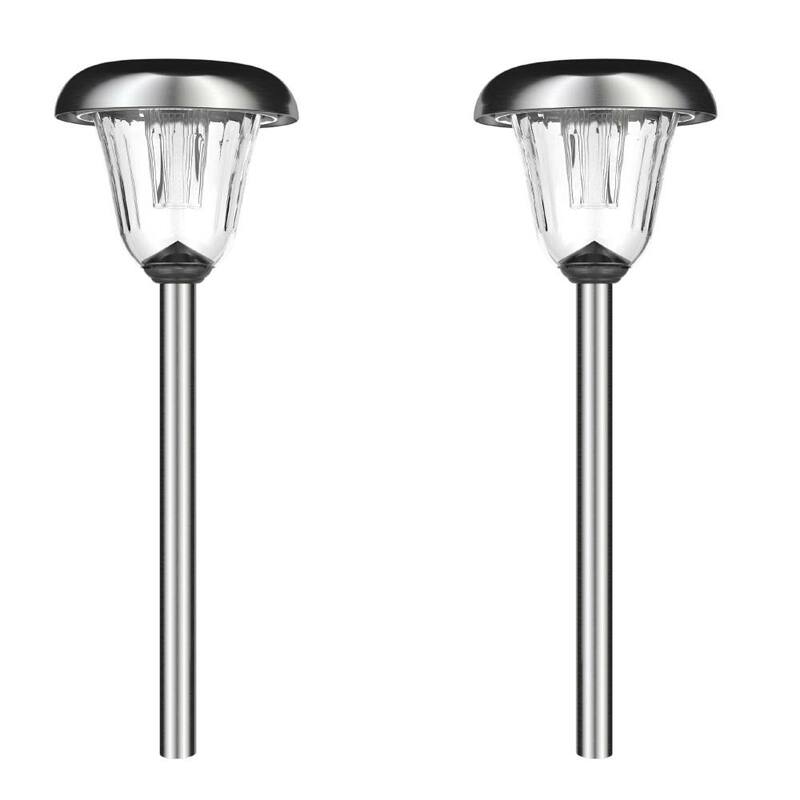 Designed for year-round use in the UK, these lights come with Powersaving technology as standard which gives users the option to double runtime in return for a slight reduction in brightness. What are the dimensions of the lights? Hi there, I love these lights but they are not tall enough. Can you buy longer poles for them or is there an other alternative. thanks ivor. Sadly we don't offer extension poles for this light. I'd suggest looking the henley solar light.